In my job sometimes calls to travel to some pretty astounding places and this trip was no different, a real treat in fact. Lodged at the base of the Atlas Mountains in Morocco a short ride from all the action of Marrakech but with the seclusion and that special feeling of exclusivity. Cosseted and cared for by tender staff and only three hours away from London, I found Kasbah Angour. Some people dream of castles in the sky but Brit Paul Foulsham, a long-time resident of Morocco dreamed of his own castle in the mountains. 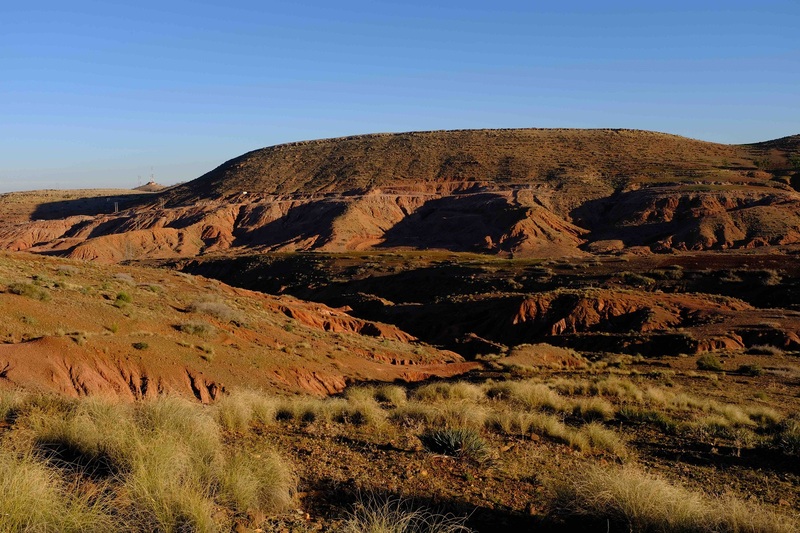 After five years of securing land, finding water, learning how to be a project manager, employing the skills of local craftsmen, using traditional methods and red sand stone his dream was completed eight years ago. 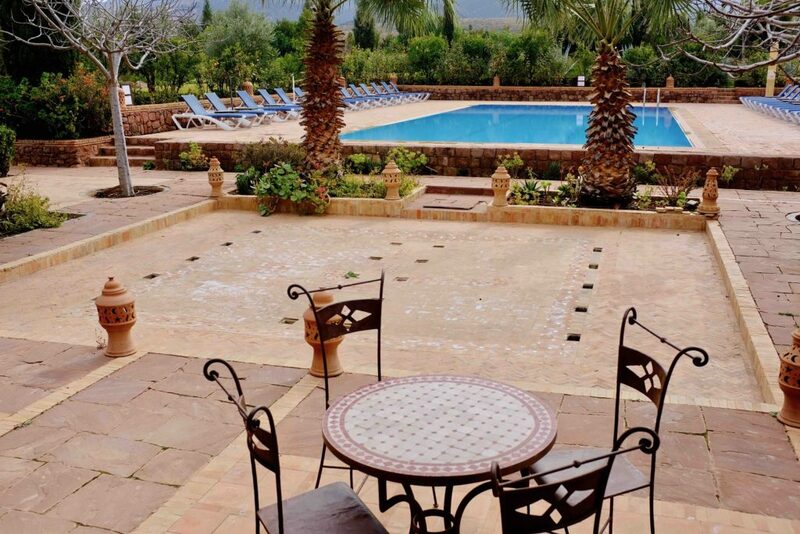 Now, resplendent, sitting at the foot of the Atlas Mountains only 45 minutes from Marrakech airport it all seems very much worth the incredible effort to achieve it. The 25 rooms and suites all luxuriously appointed reside in splendid gardens of some 10 acres. And yes, before you ask, there’s a pool, open air, as this is an eco hotel that wears its credentials proudly on its sleeve. 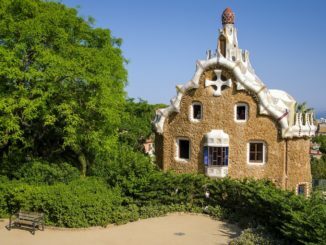 It has no additional heating other than the sun in the summer (it’s a tad chilly in the winter months). 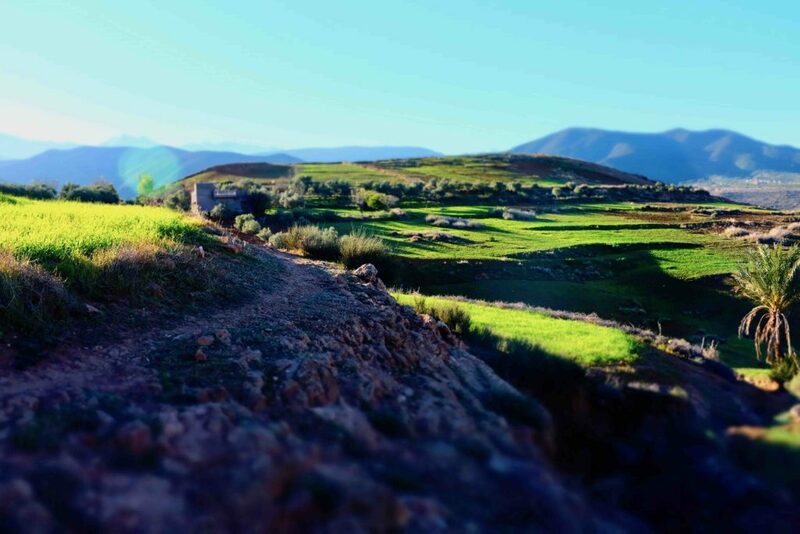 At 1000m above sea level it isn’t too debilitating for most walkers and the terrain has a variety of interests including outlying Berber villages built from dry clay and straw bricks. The locals are friendly, a guide can take you on a half or full day excursion. If you’d rather more oomph then a 4×4 is also on hand. There’s a local souk on Tuesdays and you can even ski in the two-month season. At sunrise it was crisp and bright with the silhouette of the Atlas Mountains looking like a backdrop from a puppet theatre, almost cut from cardboard with clean sharp lines. I had decided to go for a half-day trek. Abdul my guide looked at my shoes (and approved of my fairly sturdy boots although the land isn’t that rough there were streams to cross) and then asked if I had some water with me. I did, so we were ready to go. He has been walking this region most of his life and working as a guide for over 15 years. He cheerfully informed me we were only 52 days walk from Timbuktu, adding with a smile that we wouldn’t be attempting that on this trip. 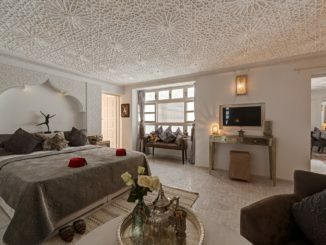 The location of Kasbah Angour is on the old trans Sahara gold, salt and slave trade routes from Timbuktu, Mali, which was still in use until the last caravans in the 60s, the gold would stay in Marrakech as it was and still is the gold capital of Africa. Nowadays it’s a quiet enjoyable walk with plenty of ornithology and wildlife to see. 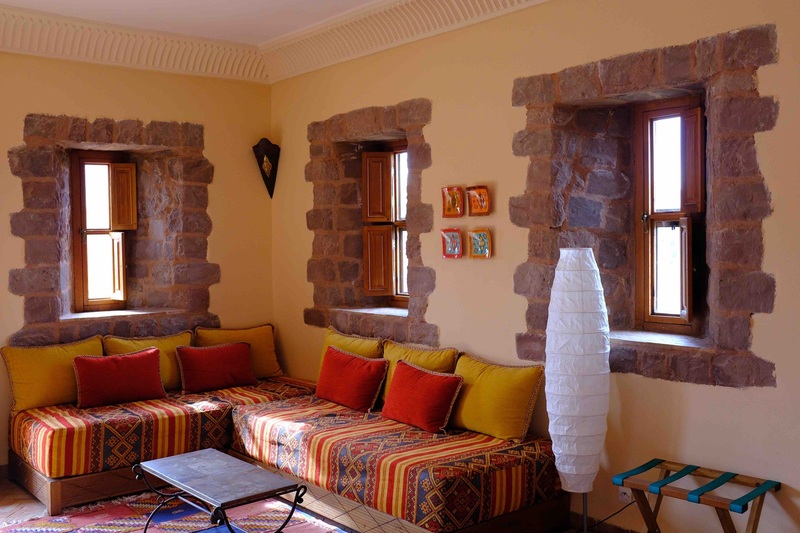 I saw Berber houses with rooms at the ground level for their animal stock first floor owners and if there were another upper level it would be the ‘best room’ for guests. These small, inhabited areas would also have tesserafet or an underground cave to store their grain or hide in times of attack. 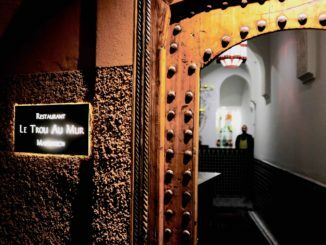 But there’s more to Marrakech that just the souks, the new Yves Saint Museum is a treat for those interested in fashion. The building is a striking brown-bricked affair resembling local vernacular and full of excellently displayed dresses and photographs of the man and his work. There’s a small cinema as well as café and restaurant. 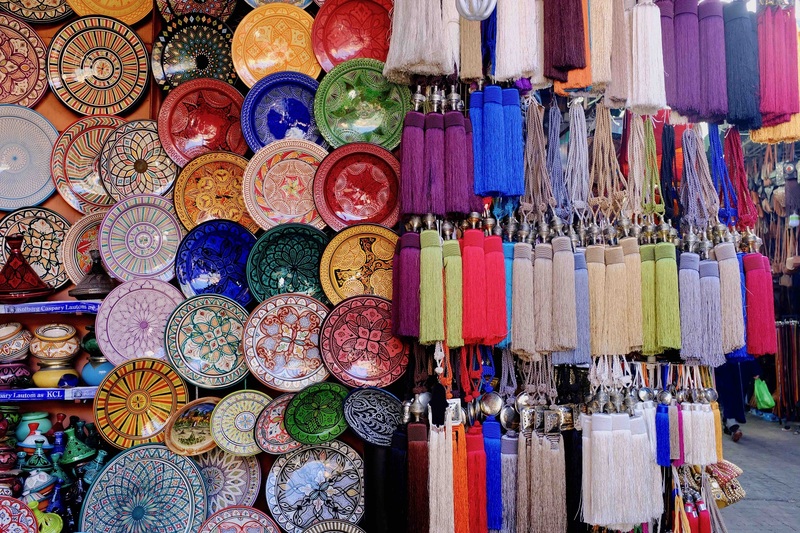 Just along the road is the Jardain Majorelle, once owned by the famous painter then restored by Saint Laurent and his partner, it is an oasis of calm, bamboo, ponds and vivid blue, a must for the discerning visitor. Both have superb bookshops that are well worth looking at if fashion or art is your interest. After a spot of sunbathing we headed to the hedonistic spa and enjoyed the tradition that is hammam. The gentle washing and lathering of the body is the precursor to being scrubbed within an inch of your life. Ikbal despite being of diminutive size was incredibly strong and thorough, she chatted happily throughout the process as much to calm me down as to keep busy. We felt like we were walking on air afterwards. Jemaa el-Fnaa Square really comes into its own at night and it’s worth seeing. Yes, there are hawkers of every kind but there is also food, good pop up restaurants that try very hard for your custom. But it’s most famous for the snake charmers and musicians and dancers in traditional dress. It’s noisy, chaotic and lots of fun. Back at the calm and tranquility of Kasbah Angour, the hubbub of Marrakech seemed a million miles away. That’s the beauty of this place it’s right on the doorstep of everything you’d want to see while tucked away with the snow-capped mountains as a backdrop. The food at the Kasbah is excellent and plentiful. Evening meals come in three courses and the breakfasts are continental, including eggs of any shape or form including Berber style, which I highly recommend. They are fried and placed on a bed of spiced tomatoes, not too hot, similar to shakshouka and they set me up for day perfectly. Many airlines fly daily to Marrakech. Kasbah Angour can arrange your collection from the airport, so there’s no need to negotiate the swarm outside arrivals. Kasbah Angour, Tahanaout, Marrakech, Morocco. 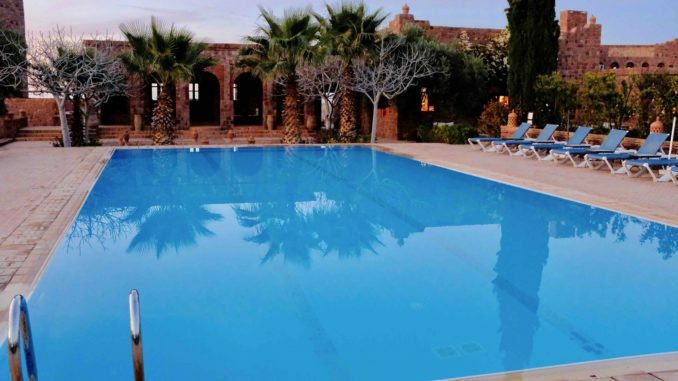 The hotel is perched on a hill-top in the Atlas Mountains not far from Marrakech, which is a 30-minute drive. The hotel is set in 10 acres of beautiful gardens, offering panoramic views of the surrounding area. Insider Tip: In the expansive gardens there are seated areas dotted around, find a quiet bench with a book and sit and watch the sun go down over the mountains.